What to wear to a festival…..wasn’t something I thought really bothered me anymore, but apparently it does. It really has to be one of the most important fashion decisions of the entire Summer. A pair of Hunter boots, denim shorts and some Breton stripes, just doesn’t cut it any more (although it’s a pretty good staple to fall back on), but there are so many more guises to consider. I’ve never been a huge fan of dress up, as in fancy dress. I like to think I have a pretty good sense of humour, but when it comes to that sort of clothing style humour, I am the most prudish and miserable of them all. I just can’t really do it, yet when I see others embracing it, I find myself harbouring just a teeny bit of fancy dress envy. The thing I love the most about festival dressing, is the way outfits evolve in a way that can only happen when you’ve been sleeping (or not) in a tent for 3 nights. What starts as a well considered, rather chic presentation can turn in to a mismatch of all sorts with hats and accessories joining in the fun – all of which have most likely been borrowed, stolen or acquired as the hours roll on. Festivals are all about sharing after all. I can’t purport to having been to many festivals over the past few years. I used to be pretty good at it but have bowed out since the children. And then suddenly, the Wilderness festival arrived on our very doorstep. Quite literally. And it has reignited my love (and fear) all in one weekend. 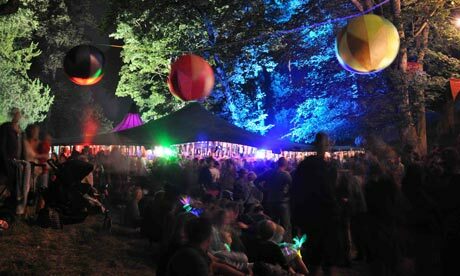 A small and perfectly formed offering, the Wilderness is a brand new festival from the clever people who brought us Secret Garden Party and I have a feeling this too might be quite a success. It was fun. Easy, simple, relaxed fun – both with and without the children. So, back to what they were all wearing. My goodness, I’ve never seen a more diverse collection of people. There were the floor length gowns, gold lame and masks – for those attending the Saturday night masked ball – some of which were fabulous. There were hundreds of play suits of all colours, patterns, shapes and sizes. Lots of top hats and military uniforms which is always a favourite and many a skinny jean to be seen on all ages. There were also an inordinate amount of flat caps, cords and v-neck jumpers……this is Oxfordshire after all…..and all were having a jolly good time. So next year – or perhaps even sooner – I’m going to plan my festival outfits down to the last thread. I’m going to throw caution to the wind and welcome my alter ego…..you never know, I might like her. The Dark Is Rising by Mercury Rev has been happily ringing in my ears for the past week so I had to include it in to the post. Without a doubt my musical highlight of the wonderful Wilderness.